As we enter the summer holiday season employers need to ensure that they are paying their employees correctly during annual leave. A recent decision by the European Court of Justice (ECJ) will impact how some annual leave pay is calculated. Do you pay employee’s commission? Is the commission calculated based on the amount of sales made or actual work carried out? If yes, according to the ECJ, holiday pay should include commission pay. The decision was made in the case of Locke v British Gas Trading and Others. Locke was a Sales Representative whose commission made up approximately 60% of his remuneration. After taking two weeks leave in 2011, Locke suffered financially as he was unable to generate sales for the period he was on annual leave. The ECJ ruled that the purpose of annual leave is to allow a worker to enjoy a period of rest and relaxation with sufficient pay. By not including commission payments with holiday pay, employees are less likely to take annual leave so as to avoid financial hardship. 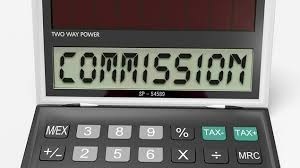 It has been left to the national courts to determine how to calculate the commission to which a worker is entitled, however the court did suggest that taking an average amount of commission earned over a certain period, e.g. the previous 12 months. Employers are advised to review their commission policies to establish which, if any, payments need to be included in annual leave pay.